Gale Munro As she begins work on new shows, Gale's friends always assure her that she has been typecast. In reciting some of her credits, she would like prospective tourgoers to understand something of herself, thereby assuring themselves of a lively time. She has played a ladybug (James and the Giant Peach, Adventure Theatre), murdering impresaria (Bloody Murder, Source Theatre Festival), and saccharine cosmetic saleslady/terrorist-hunter (Citizen Patrol, MuseFire Productions). June is has performed Mary Surratt, Eleanor Roosevelt, Florence Harding, Dorothea Dix, Perle Mesta, and too many Washingtonians to mention. She excels at historical interpretation and is responsible for some fabulous costumes that grace the tours.She also works with the Surratt House Museum when not "Strolling". She is a devotee of the study of American Life, especially the Civil War period. J. McAndrew Breen An Award-winning local actor: Shear Madness" (Kennedy Center) "A Prayer for Owen Meany" (u/s, Round House Theatre) "Holy Ghosts" (Spooky Action Theater)The Spitfire Grill (H Street Playhouse), and The Learned Ladies (Catalyst Theatre). 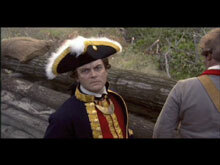 He has appeared as Edgar A. Poe, Philip B. 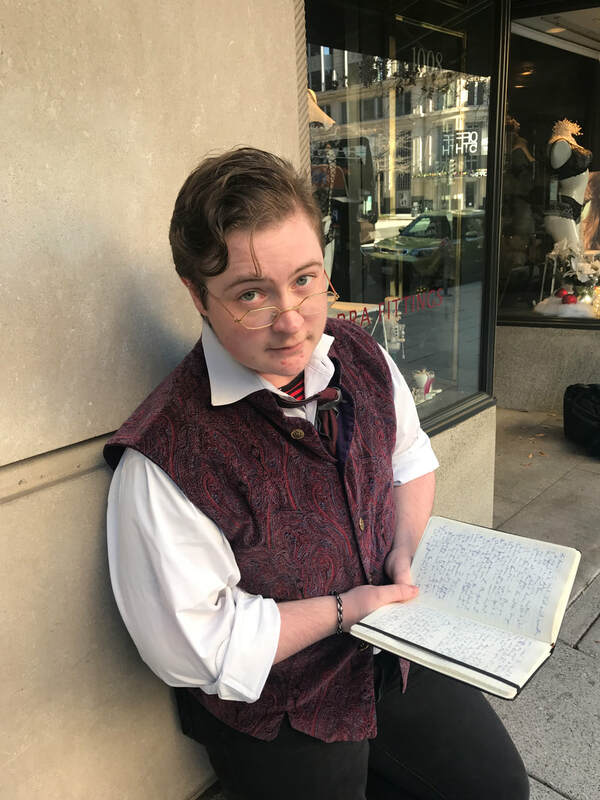 Key and others and in our one man show: "Thomas Burgess: C&O Canal Lockkeeper"
Laura Rocklyn has performed with numerous DC area theaters including Round House Theatre, Chesapeake Shakespeare Company, Arena Stage, Synetic Family Theater, and Annapolis Shakespeare. Regionally, she has performed with Kentucky Shakespeare, Richmond Shakespeare Festival, and Adirondack Shakespeare. She toured with Olney Theatre Center’s National Players. 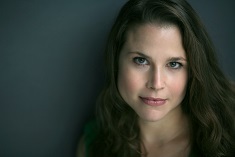 Laura holds a MFA from The Shakespeare Theatre Company’s Academy for Classical Acting. www.LauraRocklyn.com See her play "Clover" performed at the Kennedy Center on Sept 3rd! "Madeleine is a director, designer, and an actor. She received her B.A. from St Mary’s College of Maryland and studied directing at Boston University. She is thrilled to finally be playing dead professionally as a ghost in the Ghost Story Tours. Patricia Woolsey has worked in Washington theater as a director, playwright, choreographer, theater educator and (not often) actress for the past 25 years. She served as the Executive Director for the non-profit organization, ArtStream for 9 years. She currently works as a drama therapist and consultant. Barbara Papendorp A Washington, DC area actress whose interest in history and theatre often merge, Barbara performed in the Civil War Musical (Stonewall Country, Lexington, VA). She appeared in The Mandrake for Faction of Fools.Fluent in French, she has performed a cabaret at the Harmon Center for the Arts most recently. Brian Mac Ian has a BA in Theatre and Music from Naropa University, Boulder, CO. He is also a singer, musician and acting teacher and received a Helen Hayes Award nomination for Best Sound Design. Madeline Muravchik has performed at The Kennedy Center, Round House Theatre, Le Neon Theatre and others. She also teaches French. Madeline is a graduate of the Tisch School of the Arts at NYU.She is also a playwright and a Professor. has appeared at Black Rock Center for the Arts in "The Laramie Project", in numerous productions for ArtStream and is a talented set designer and builder. He has appeared in countless historic strolls and historic character events as many characters including: Andrew Carnegie, Alexander Hamilton, Dickensian Character and others. His portrayal of multiple characters in the Dickens tour set a new record for us! Emily Love Morrison starred in a one woman show this summer and has portrayed Rose Greenhow, Susan Decatur, Letitia Tyler and others for the Strolls. She has appeared at American Century Theater and Scena among others. Erin Gallalee has played many roles on local stages including VstartCrow and Victorian Lyric Opera Company at the Capital Fringe Festival and Zemfira Stage among others. Dwane co-founded The Barnstormers Theatre Company, producing and performing in The Love Course and Gurney X2, along with co-writing and performing in Rock of Aged, the Social Security Tour at the 23rd Annual Source Theatre Festival. He was selected as the spokesman of the Jonathan Green Grass Seed Company. He has appeared as Joseph Henry for the Smithsonian's National Museum of American History and recently portrayed Robert Frost.